The Ryman Auditorium in Nashville was packed full with over 2,000 fans filling each old-fashioned church pew eager for the chance to see Harry Styles in person. Opening for him were Muna, an all-girl electro pop group, and Cam, a Nashville-based singer/songwriter. Both took time out of their set to praise the 23-year-old British musician, as well as his fans for their unending support and love. Styles came out promptly afterward, but certainly not without a little anticipation. His silhouette projected behind a large floral curtain, lingering until it hit the floor seconds before the first song began. He immediately took over the stage in his signature Gucci loafers, white pussybow blouse and black brocade suit, which was no doubt in homage to the original “man in black,” Johnny Cash. This is only the third show on his first solo tour, playing small theater venues and arenas that oppose the stadiums he frequently performed in with his former act, One Direction. “I have to say, when we booked this tour, this was kind of the reason. This room. And it is beautiful, and you look fabulous, so thank you,” Styles says at the start of the show, resulting in erupting cheers from the audience. As the night went on Styles played through his entire album, including his own rendition of One Direction’s “What Makes You Beautiful” and Little Big Town’s “Girl Crush” (an exclusive cover just for Nashville). The acoustics blasting through the former church were crystal clear, as were the sounds of the audience singing along to every word. The lights from the stage reflected off the stained-glass windows on the balcony, projecting bright colors and shapes all around. It was clear that this show was a special moment for both Styles and his devoted fans. “I have you for eight more minutes, so I need to see you go wild if you want me to come back next year,” Styles says towards the end of the encore just before he ran offstage, straight into a black SUV to get him to his next show in Chicago. Styles is already scheduled to come back next year and perform in Nashville’s Bridgestone Arena. 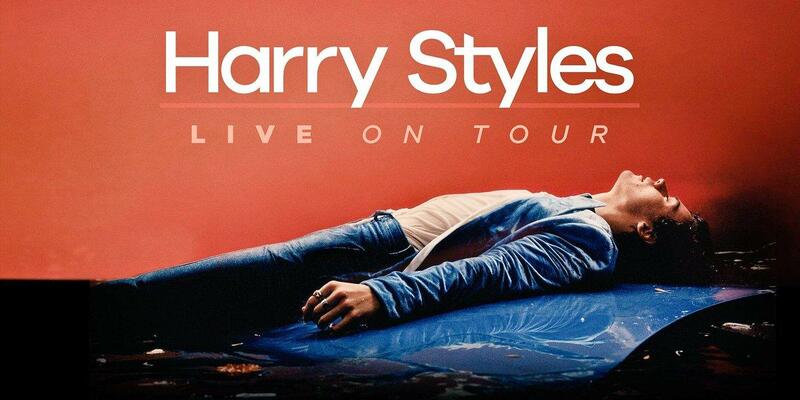 Harry Styles’ debut tour began on Sept. 19 in San Francisco and is set to continue through July 2018, playing over 80 shows across four continents.